This could be yours, if you’ve got the right recipe. For the third year in a row the catering company Great Performances will host the annual city Latke Festival and cook-off. Our sister publication Edible Brooklyn is a co-host of this years, which will arrive at the Brooklyn Academy of Music for a night of grease-splattered goodness on December 19. 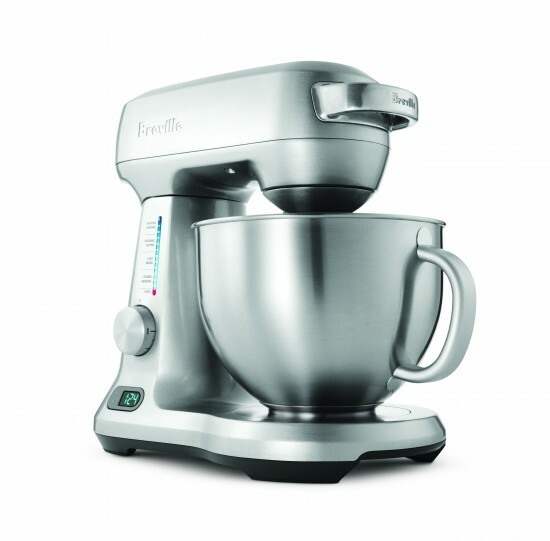 The winner will have not just the honor of showing off his or her crispy creation at the event alongside some of the city’s best chefs, but will also score the brand-new Breville 5-quart die-cast stand mixer above. It doesn’t come with a grater attachment, sadly, but it can make some sweet cookies. In fact, check out this demo by Momofuku Milk chef Christina Tosi.